Researchers at the European Bioinformatics Institute (EMBL-EBI), the University of Dundee and the Wellcome Sanger Institute have used human and worm data to explore the mutational causes of cancer. 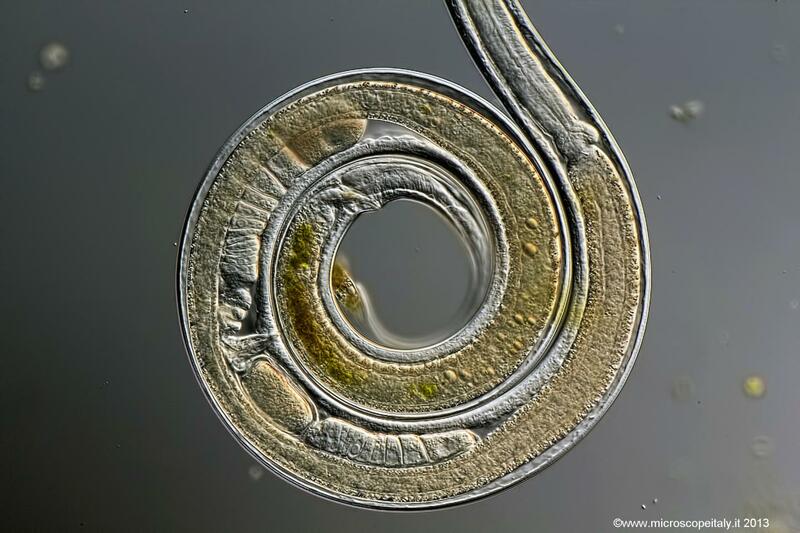 Their study, published today in Genome Research, also shows that results from controlled experiments on a model organism – the nematode worm C. elegans – are relevant to humans, helping researchers refine what they know about cancer. Cancer is caused by DNA mutations which can be triggered by a range of factors, including UV radiation, certain chemicals and smoking, but also errors occurring naturally during cell division. A cell recognises most of these mutations and corrects them through multiple repair mechanisms. However, DNA repair is not perfect, so it can leave certain mutations unrepaired or repair them incorrectly leading to changes in DNA. Understanding the footprints of these mutational processes is an important first step in identifying the causes of cancer and potential avenues for new treatments. "The DNA mutations we see in cancer cells were caused by a yin and yang of DNA damage and repair," explains Moritz Gerstung, Research Group Leader at EMBL-EBI. "When we study a patient's cancer genome, we're looking at the final outcome of multiple mutational processes that often go on for decades before the disease manifests itself. The reconstruction of these processes and their contributions to cancer development is a bit like the forensic analysis of a plane crash site, trying to piece together what's happened. Unfortunately, there's no black box to help us. Controlled experiments in model organisms can be used to mimic some of the processes thought to operate on cancer genomes and to establish their exact origins." Previous research has shown that one of the first DNA repair pathways associated with an increased risk of cancer is DNA mismatch repair (MMR). The current study uses C. elegans as a model system for studying MMR in more detail. "Dr Bettina Meier in my team initiated this project by assessing the kinds of mutations that arise when C. elegans is defective for one specific DNA repair pathway," says Professor Anton Gartner, Principal Investigator in the Centre for Gene Regulation and Expression at Dundee. "As it only takes three days to propagate these worms from one generation to the next, the process of studying how DNA is passed on is greatly expedited. DNA mismatch repair is propagated for many generations and this allowed us to deduce a distinct mutational pattern. The big question was if the same type of mutagenesis also occurred in human cancer cells." To address this question, EMBL-EBI PhD student Nadia Volkova compared the C. elegans results with genetic data from 500 human cancer genomes. "We found a resemblance between the most common signature associated with mutations in MMR genes in humans and the patterns found in nematode worms," explains Volkova. "This suggests that the same mutational process operates in nematodes and humans. Our approach allows us to find the exact profile of MMR deficiency and to understand more about what happens when DNA repair goes wrong." These findings could lead to a better understanding of the causes of cancer and potentially help to identify the most appropriate treatment.